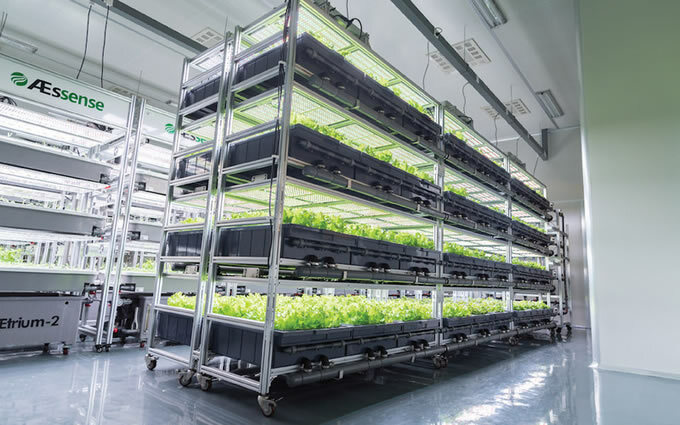 In advance of next week's MJBizConNEXT conference, AEssenseGrowsintroduced today the AEtrium-2.1 SmartFarm-72, enabling 50 percent higher clone production than prior versions of the aeroponics system. The new 72-tray configuration increases yield to 13,500 per month from the prior version's 9,000 per month. AEssenseGrows is an ag-tech company specializing in automated aeroponic platforms for high-yield plant production. The company has developed advanced grow systems featuring sensor-driven software that monitors and automatically adjusts the ingredients for specific grow recipes. The four-layer high-density AEtrium-2.1 SmartFarms are designed for high-volume cultivators and come in 24-, 48-, and now 72-tray configurations. "The pressure on growers in the burgeoning cannabis industry is intense and will only increase as laws evolve and the market grows," said Phil Gibson, vice president of Marketing at AEssenseGrows. "AEssenseGrows' latest version of its SmartFarm cloning product helps give growers greater control over their fates by delivering fast, safe and reliable clones in volume." AEssenseGrows will showcase its grow systems at MJBizConNEXT, May 9-11, at the New Orleans Morial Convention Center. The company will also participate in the National Cannabis Industry Association annual Lobby Days, May 21 to 23in Washington, D.C.
And in mid-June, AEssenseGrows will co-sponsor the 2018 International Indoor Plant Factory Symposium with the Shanghai Academy of Agricultural Sciences (SAAS). The symposium, running June 12-15 at the Blue Palace Hotel in Jiading, Shanghai, brings together some of the world's leading experts in commercial indoor cultivation for an exchange of ideas and information about the latest innovations, technologies and research in the field. The Sunnyvale, Calif.-startup was selected by Ackrell Capital as one of the firm's Top 100 Private Cannabis Companies for 2018. To meet with an AEssenseGrows representative at one of the shows, contact Phil Gibson at pgibson@aessensegrows.com. AEssenseGrows. (pronounced "essence"), founded in 2015, is a precision AgTech company based in Sunnyvale, CA. AEssenseGrows provides accelerated plant growth SmartFarm platforms and software automation delivering pure, zero pesticide, year-round, enriched growth to fresh produce and medicinal plant producers globally. With AEssenseGrows, you can precisely control your production operations at your fingertips from anywhere in the world.